We are very pleased to announce some changes within the Kennis Transport Group. Starting May 1, 2018 Kennis Transport & Logistics B.V. and ELEM B.V. (part of the Kennis Group since 2014) will merge and all activities will be concentrated at Kennis Transport & Logistics B.V. 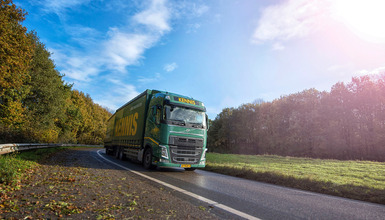 Following this merger we will be able to offer you more efficient services in the Benelux countries, France and the rest of Europe and Kennis Transport & Logistics will remain leading in delivering high quality solutions for your logistic issues by offering the best service and reliability as well by applying and developing innovative techniques. All contact information currently in place will remain unchanged. Your contact person, email address and telephone numbers will not change although all communication starting May 1, 2018 will be from Kennis Transport & Logistics B.V.
We thank you for your trust and hope to serve your logistic issues even better in future.